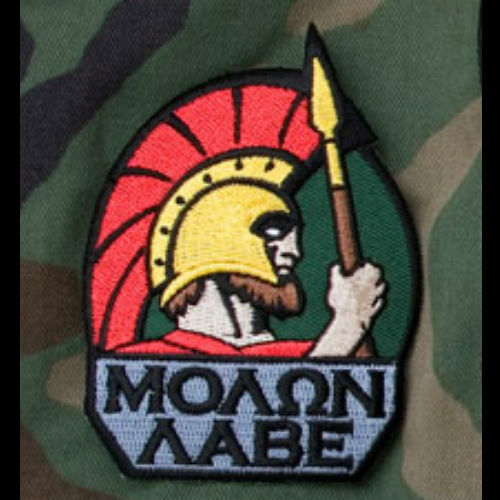 Full Molon Labe design for the Spartans out there. Hook fastener sewn on the back. 3.5" x 2.5"
Small Bulldog Head Patch. Not as rowdy big as the large original for more placement options. Hook fastener sewn on the back. 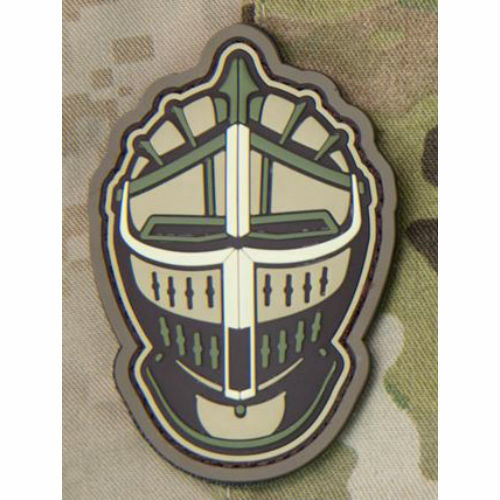 2.25" x 2.15"
This was a request patch from a military group. Simple text posing both a statement and a question, great for surprise "events". Hook fastener sewn on the back. 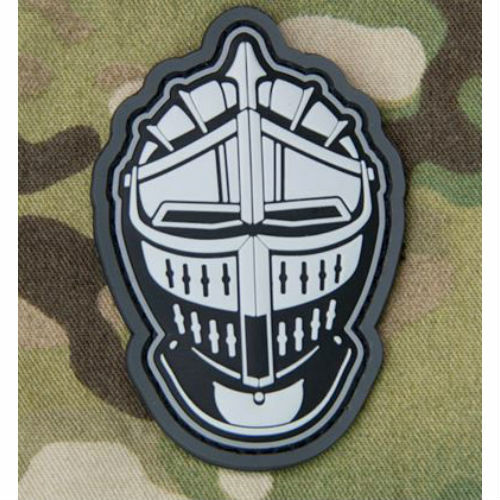 3" x 1.75"
Designer Skullmonkey patch, Crossbones variant. Hope was to amuse MIL / LEO and civilians alike. Hook fastener sewn on the back. 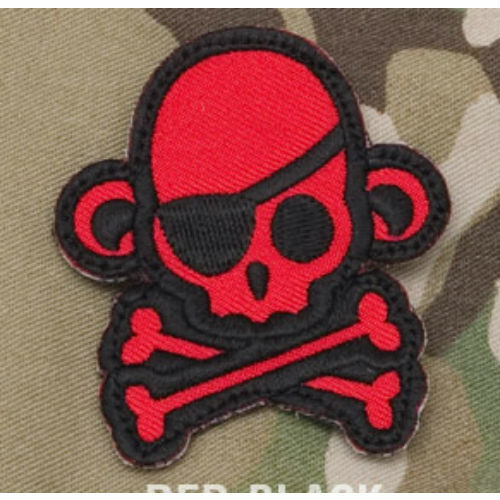 2.5" x 2.5"
Designer Skullmonkey patch, Pirate variant. Hope was to amuse MIL / LEO and civilians alike. Hook fastener sewn on the back. 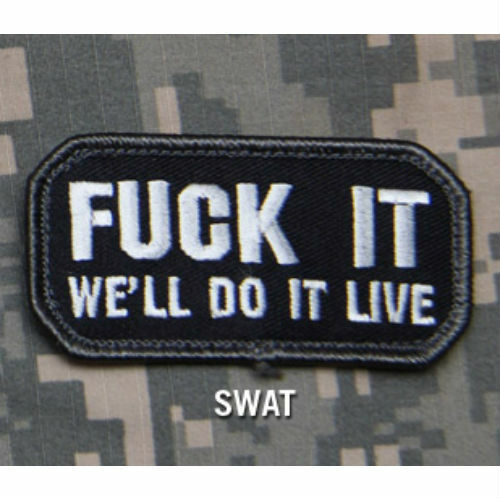 2.2 "x 2.5"
Although wild O'Reilly started it, the phrase seems to work well in a lot of industries. Hook fastener sewn on the back. 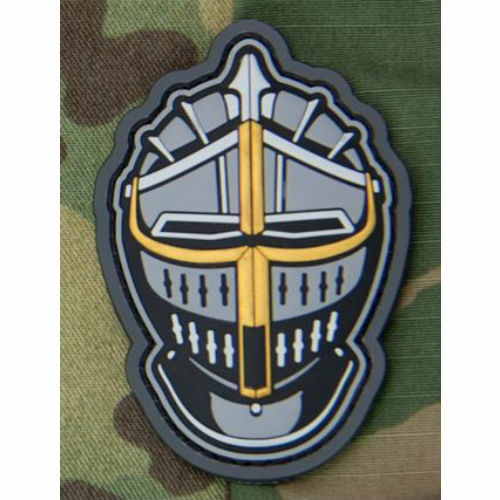 3" x 1.5"
A part of the warrior head series, no special backstory, just trying to be a cool Knight Head. 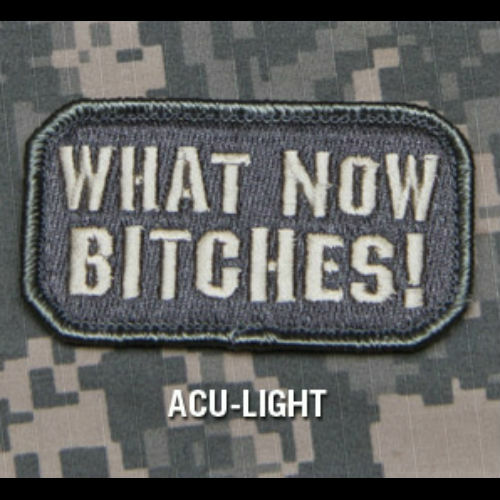 2" x 3" with hook fastener material sewn on the back.